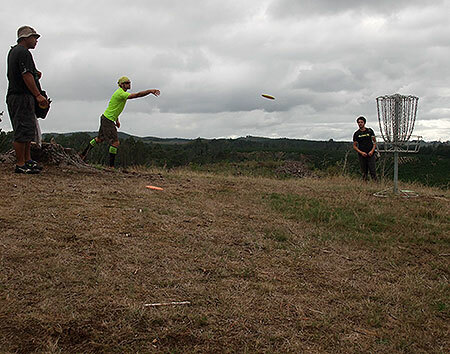 The 2014 discgolf.co.nz Taupo Classic. First up, thanks to everyone who came together to help make this great event happen. With the GM still slowed down by knee reconstruction surgery just 6 weeks earlier, it was great to see many players put their hands up to help out. 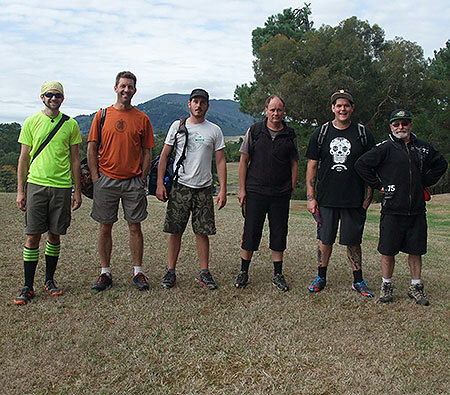 Blair and Pete and the Lost Tribe brought 9 baskets across from Taumarunui, Haydz brought 6 down from Woodhill and also used his truck to set up and retrieve baskets and the Auckland crew of Brad, Speedo and Simon brought baskets with them as well. Toby Gentil looked after the registrations and card checking along with Pete Boyle and Brady Kuech, which saw the weekend happen seamlessly. With 2 big stands of pine trees having been felled and numerous feature trees missing there was a need to change the layout of a couple of holes, but all in all this Spa Park course was still a great test of all of players' golfing skills. Well done to the travellers from all over the North Island who came along to celebrate our great game in this stunning park. 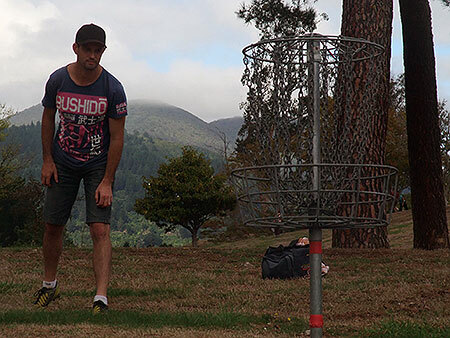 Congratulations to the most consistent players who made the 'Super 6' and .... what can you say .... New Zealand's #1 player Simon Feasey who turned in rounds of 51, a course record 47 and a 48 to take the Open Title by 7 over the Levin Brotherhood's Jacko Sullivan with One Tree Hill's Brad Muir third. The Masters Title went to the Lost Tribes Blair Joines with Pete Boyle taking out the Grand Masters. 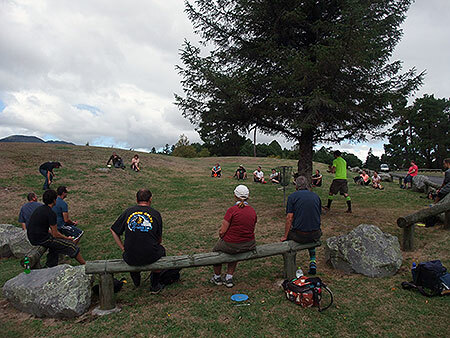 Our Woman's Champion for 2014 is Gemma Sullivan from the Levin brother/sisterhood with Bay of Plenty Disc Golfer Ming Menzies taking out the Woman's Grand Masters and Toby Gentil taking the Junior Title for yet another year. 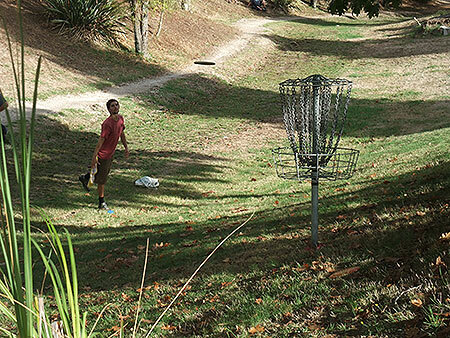 Hutt Valley golfer Winston Rawiri made the trip north worth his while picking up the ACE kitty cash on offer for the weekend with a fantastic side arm shot that smashed into the chains on the 45 metre hole #2. Good skills! We'll let the pictures tell the full story. 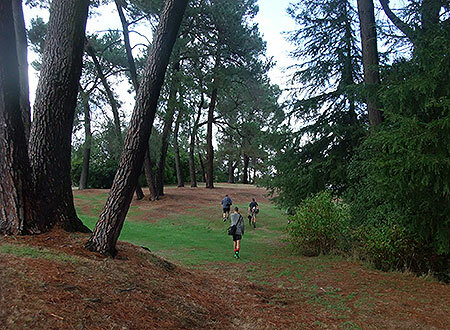 Players make their way down the 62metre fairway on hole 17. 'Short and Sweet'. 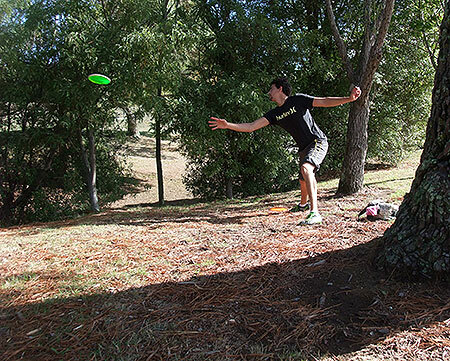 Wellington Disc Golfer Stephen Fargher putts out the altered hole 12. Classic style. 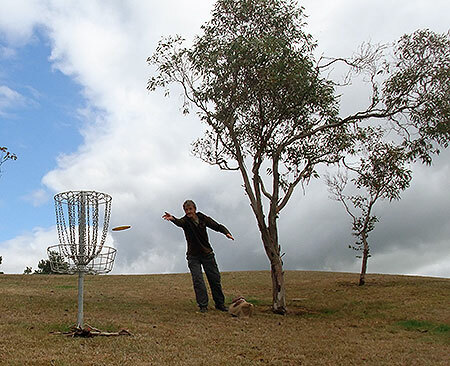 Palmerston North Disc Golfer Paula Wilson. 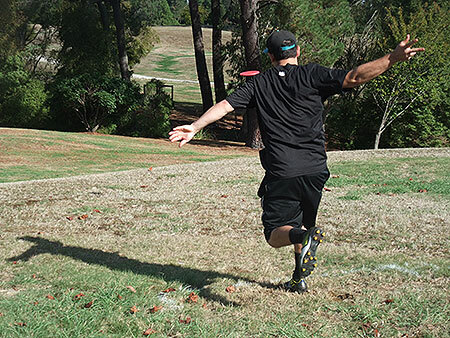 Wellington Disc Golfer Chris Sanai putts out on the changed hole 11. 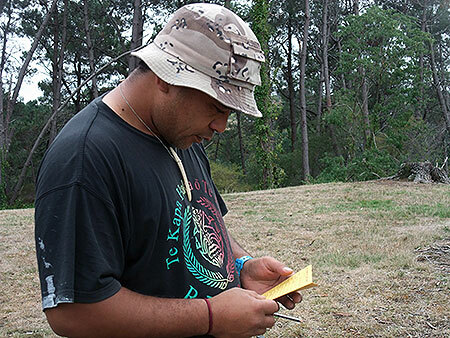 Wellington Disc Golf addict Winston Rawiri writes down the 1 that saw him take sole rights to the weekend's ACE Kitty. 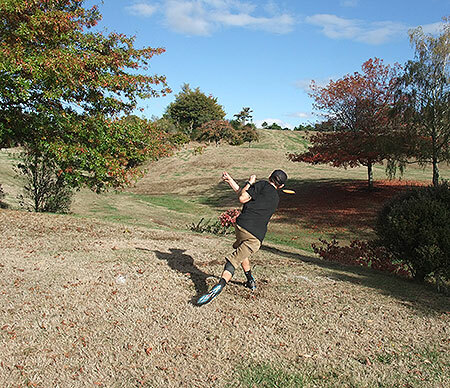 North Auckland Disc Golfer Daniel Dolman feeling good on the Saturday. Sadly Sunday saw him in a different head space after a trip to Tauranga for a buddy's birthday Saturday night. 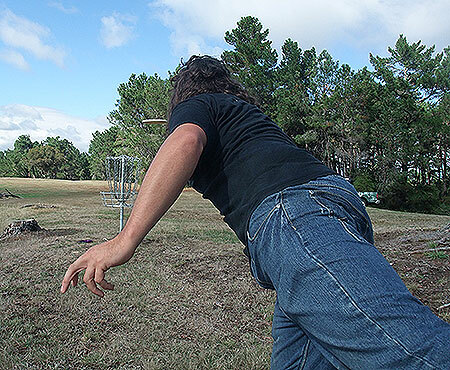 Auckland Disc Golfer David Keene played great Saturday but just couldn't get it together on the Sunday morning. 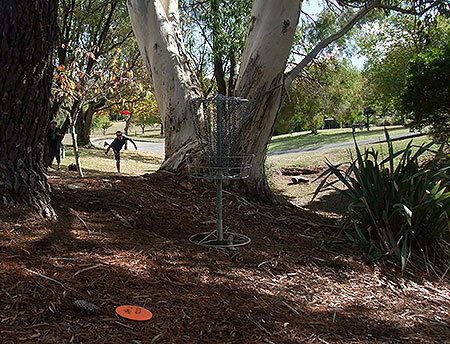 Dan Dolman plays up to the basket on the tricky hole 3. Levin Brotherhood's Abe Hartley looks to put it close on #3. 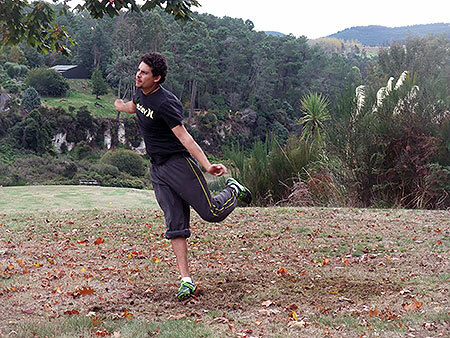 Jacko Sullivan solidly putts out Spa parks signature hole, with the Waikato river in the background. "I wonder why I have so many muscle problems?" - Hayden Shore shows the contortions your body goes through during a side-arm drive. Wellington's Brian O'Neil send his putt at the chains on hole #1. SGM Pete Boyle in his classic 'bag on' style during the 'Super 6'. 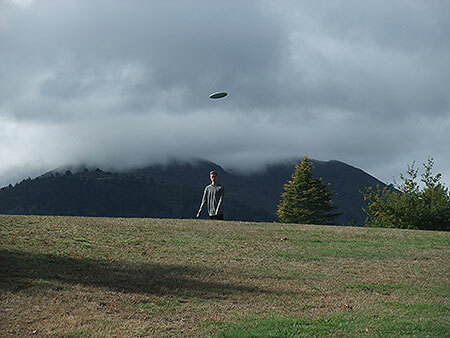 New Zealand's number 1 junior player Toby Gentil lobs his up shot to the basket on hole 18 as the mist clears from the top of Mt Tauhara. Jacko Sullivan framed by the tall timber protecting basket 13. 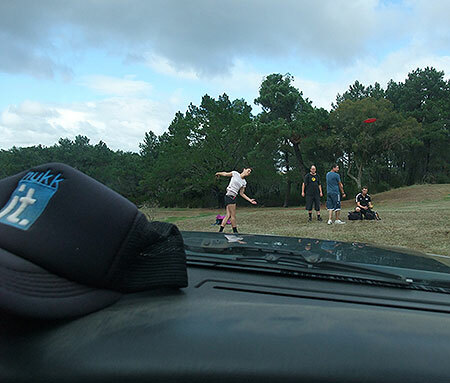 Thanks to Haydz who loaned his truck to the GM so he could get around the course and get these pictures. Winston and Dan check out the style of the human highlighter Brady Kuech from Wellington. The Saturday lunch-time 'Innova putting competition' which saw Abraham Hartley from Levin pick up the prize. 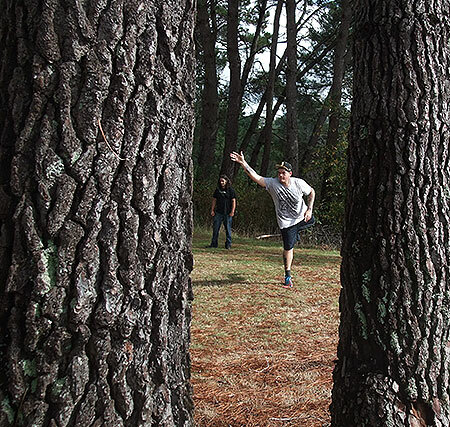 One Tree Hill golfer Brad Muir on his way to outright 3rd for the weekend. Levin's Lawton Williams sneaks one into the basket on #5. 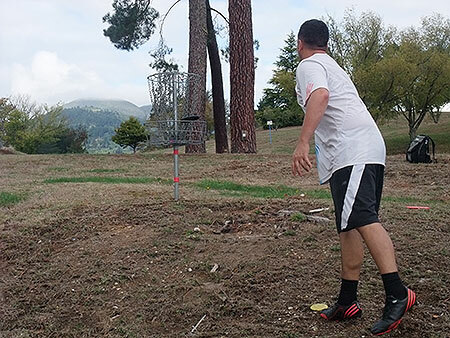 Wellington Disc Golfer Winston Rawiri holes out #3. Good thing Quan Western had the 'high-vis' tee shirt on as he plays out of the bushes on #3. 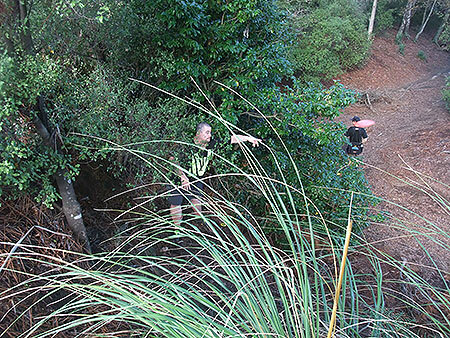 Woodhill Disc Golf Pro Hayden Shore putts up to the very scary basket on the edge #4. Dan Dolman bends it like Beckham. Always there to help out. 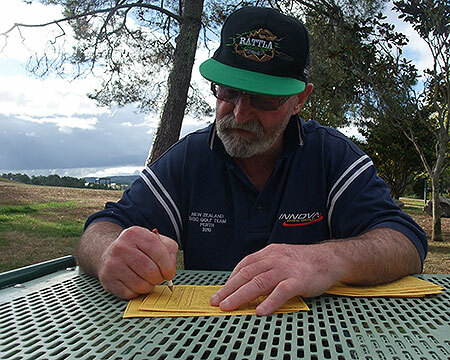 Pete Boyle checks the scores after round 2. The 2014 Taupo Classic Super 6. Brady Kuech, Simon Feasey, Brad Muir, Blair Joines (Maters), Jackson Sullivan &Pete Boyle (GM). 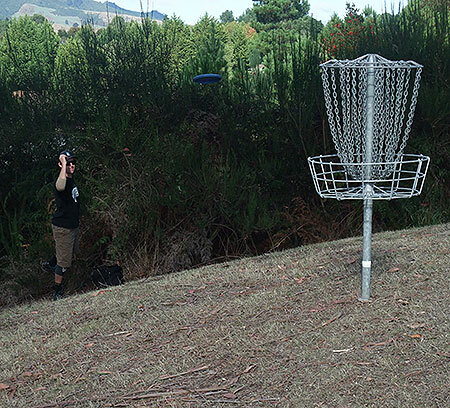 Bay of Plenty Disc Golfer Ginny Foley plays up the new basket placement on hole 12. 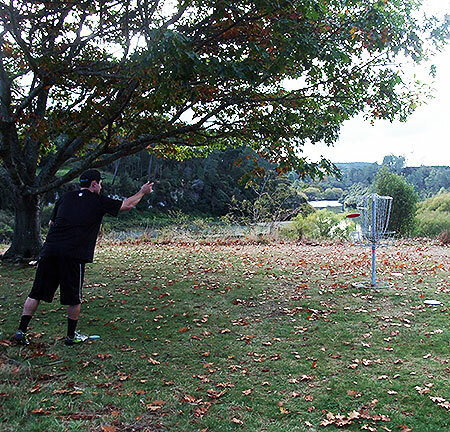 Mt Tauhara forms a back drop as National Park Disc Golfer Des Cooper putts at the new basket placement on #12. Wellington's Stephen Fargher putts at 13 as Gin checks out his style. 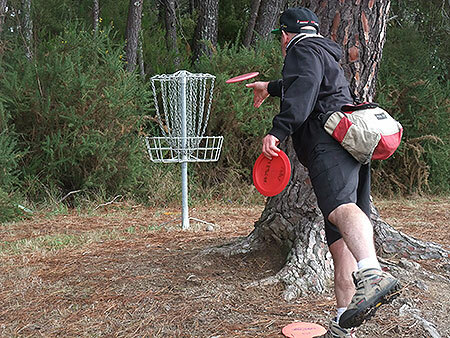 Levin Disc Golfer Lawton Williams slam's a solid putt into the chains on 11 as Pete Boyle watches on. Lawton Williams gives it heaps bro! Abraham Hartley from the Levin Brotherhood club makes sure of his putt on 11. There was plenty of major roll-a-way's on this hole. 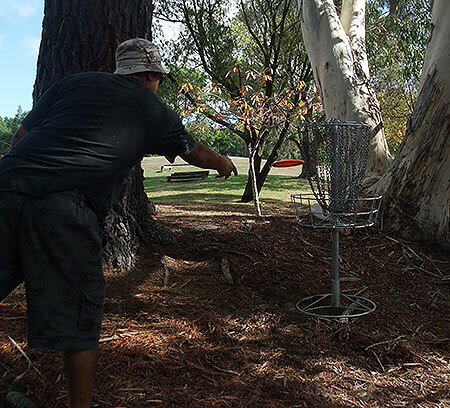 Ming Menzies plays up to basket 4 a little tentatively after hitting double figures on this hole in the morning round. 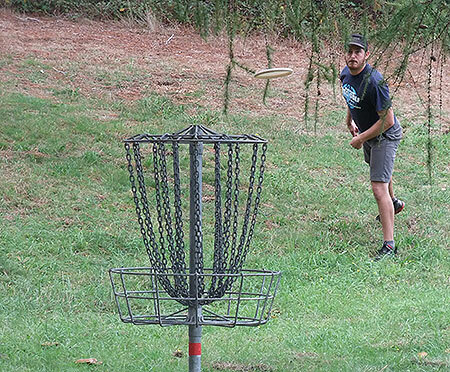 Sky Highway was very relieved to have his disc drop in on the very scary basket #4. Worth a crack mate! Stephen Fargher impresses Gemma Sullivan with his putting skills on the long hole #5. Gin Foley shows her style on #16 as Paula Wilson and Tokoroa 's Jenny Joint watch on.